The pros: A new addition to the freezer section. 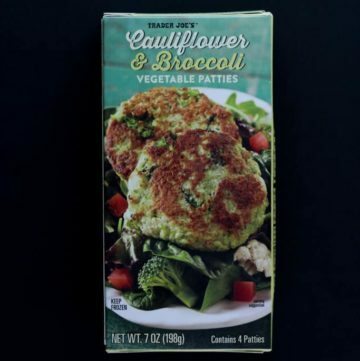 Trader Joe’s Cauliflower and Broccoli Vegetable Patties are quick and easy that taste fresh and require minimal work. 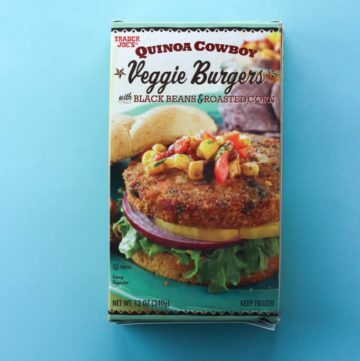 While they won’t work out as a burger, they will make a nutritious side dish. 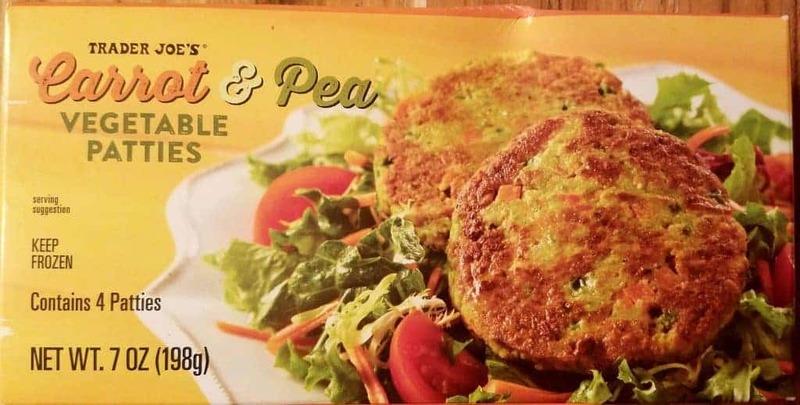 The cons: You’ll need to add something here to make it more flavorful. This is a blank canvas. I found the addition of a bit of salt to be essential. 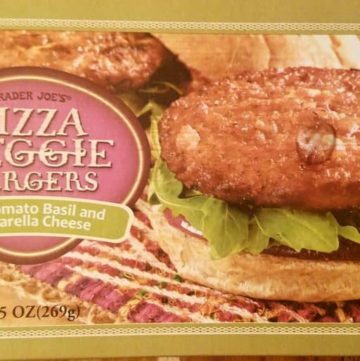 No microwave allowed on this one. 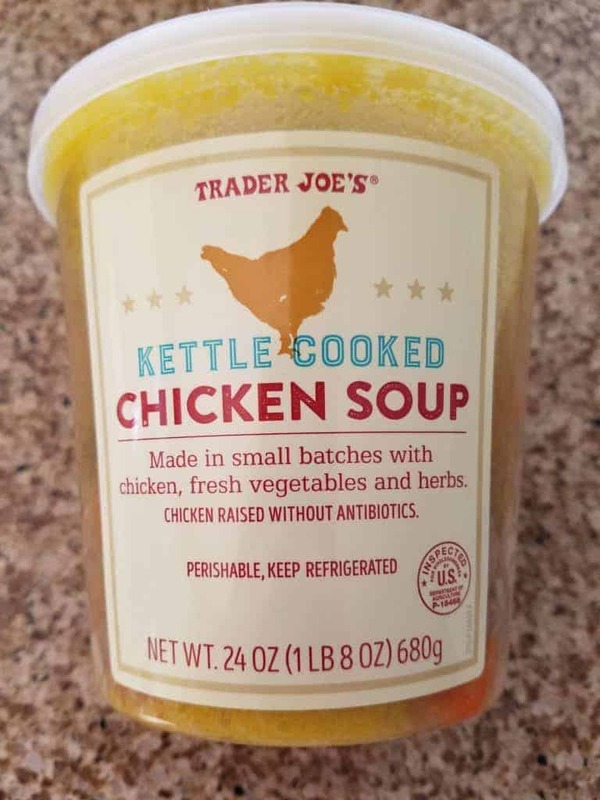 The pros: Trader Joe’s Kettle Cooked Chicken Soup is tasty, well made, fresh tasting, and not too salty. The cons: If you want noodles you’ll have to add them yourself. Soup isn’t overly salty, so depending on your preference you may want to add some salt. Not as cheap as the canned varieties, but the quality is here. More than a quarter of the sodium you should eat in a day. 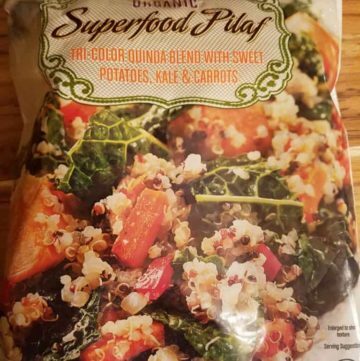 The pros: Trader Joe’s Organic Superfood Pilaf is a bag of colorful and healthy superfood. A whole lot of vitamin A in one serving. Lots of superfoods in one bag. Ready in about 10 minutes on the stove or even less in the microwave. The cons: Came out as one giant block which made it difficult to prepare. Was very plain tasting.